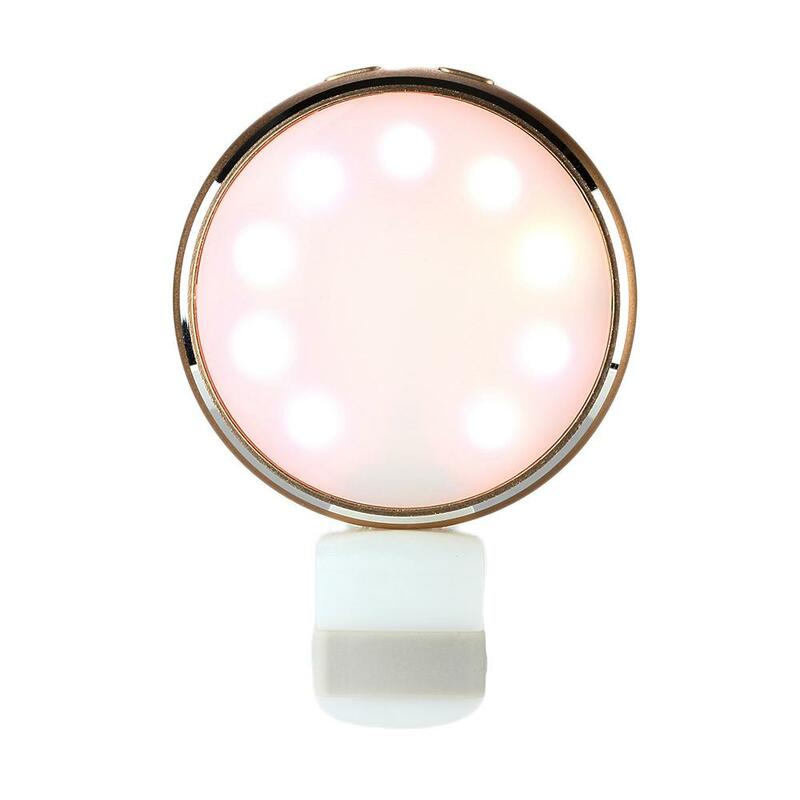 This selfie light has 7 light color settings (white, red, soft yellow, green, blue-green, blue and rose red) which can enable you to take more magic selfie photos and videos. • Portable Clip and Metallic Design: The selfie light is easy to clip and portable to carry and will not snap onto the screen of your phone to block you to see the selfie; Plus, integrated with simplicity and delicacy, the metallic design makes it a highly textured gift. This selfie light is great. It does exactly what is promised. It works well for selfies but I use it for my scanner app on my phone when the lighting isn’t great. I have to email contracts on the go so it helps to have a light that works better than my flash for the scanner app that I have. It really bring out the words on the page and it attaches to my phone so I don’t have shadows on the page. This is a great ring light! I bought it for my daughter and she is thrilled. She’s a teenager and takes a lot of photos. This provides quite good light with a variety of color options and a dimmer switch as well. She also enjoyed the mirror on the back. My wife LOVES this for being able to make her beginning YouTube videos, and taking glamour shots to promote her products! It's super easy to clip onto your phone, and the light itself is super bright, and add the perfect amount of lighting to highlight all of those bad shadow areas. And it's just am added bonus that it ha s variable brightness and colors. This is a super cool product!